Hello, Today I am using a digi called "Bob Haired Girl with Flower" by Lemonshortbread. 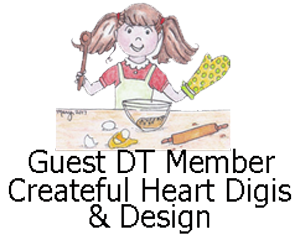 You can find the store here http://www.etsy.com/uk/shop/lemonshortbread. Copics used are E000, E00, E01, E02, R20, R30- skin, RV10, RV13, RV17- lips, E31, E33, E37, E49- eyes, E21, E23, E25, E27, E29- hair, RV10, RV13, RV25, B000, B01, B02, B05- outfit, RV10, RV13, RV25- flower, G20, G24- leaves, E41, E43, E44- branch. The doily is by Recollections. The pearls are from Hobby Lobby. 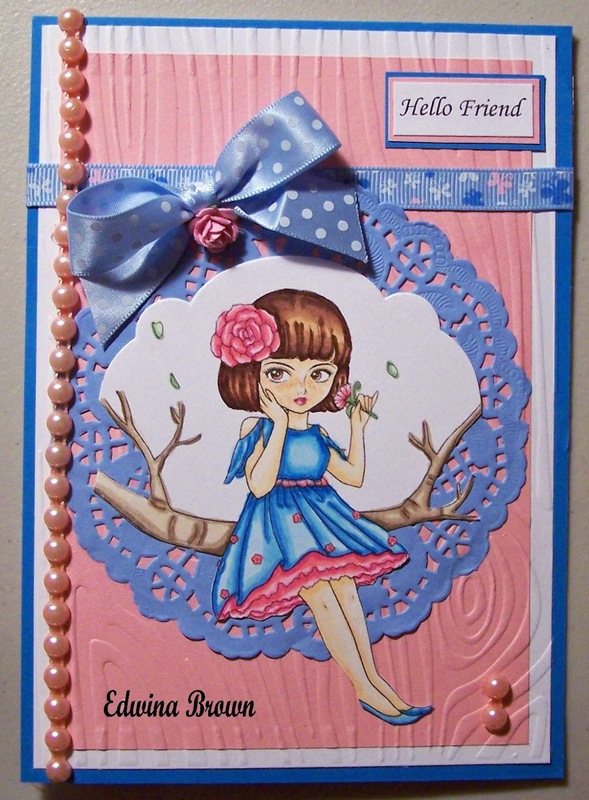 The embossing was done using an embossing folder by Darice called Woodgrain. The ribbon is by Really Reasonable Ribbon. 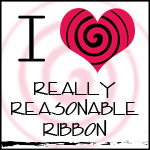 You can find it here http://www.reasonableribbon.com/. The pink rose is by Wild Orchid Crafts. The papers are by Recollections- pink, blue, Georgia Pacific- white. The card is 5" x 6 1/2"
Hello, Today I am using a digi by Ike's Art called "Hat Store." 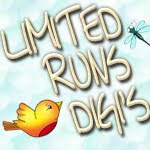 You can find it here http://www.ikesart.com/#!__digital-art-stamps. Copics used are B0000, B000- sky, E11, E13, E15, E17- brick sidewalk, C1, C3, C5, C7, C10, Y13, Y17 Y23, Y26, Y28- lamp post, E000, E00, E01, R20, R30- skin, E21, E23, E25, E27, E39, E95, E97, E99- hair colors, E53, E55, E57- canes, YG61, YG63, YG67, G40- green outfit, R81, R83, R85, R89, RV00, RV11- dusty pink outfit, B32, B34, B37, B39, R35, R37, R39, W3, W5, W7- man's outfit, R32, R35, R37, R39, R59, E51, E53, E55, E57, E59, Y11, Y21, Y23, Y26, Y28, YR21, YR24- store, YR00, YR01, YR02- manikin heads for hats. R20, R22, R29, R35, V04, V06, YR21, YR24, Y21, B12, B14, B16, B18, W1, W3, W5, W7, W10- hats. The digi is 6 3/4" x 5 1/8". The sentiments are my own. I typed them on the computer and printed them off. The card stocks red and brown are by Bazzill. The white card stock is by Georgia Pacific. The scrapbook page is 12" x 12". 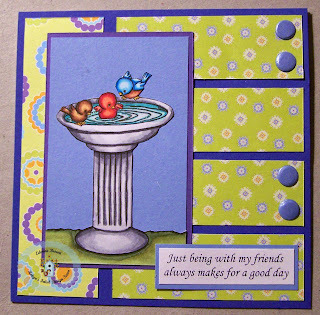 Hello, Today I am using "Birds Playing in Birdbath" by Angie's Digi Stamps. 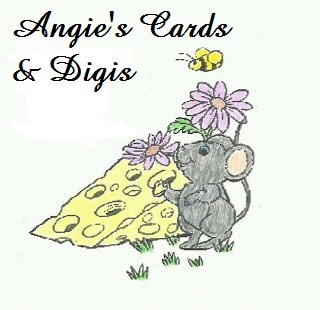 You can find the store here http://www.etsy.com/shop/AngiesDigiStamps. Copics used are BV20, BV23, and blender pen- birdbath, BG10, BG11, BG13- water, YG93, G20, G94, G99- grass, Y17, B000, B01, B02, B05-birds. Green Stardust Gelly Roll Pen was used on the ripples of the water. The flowers were punched out using an EK Success punch. The leaves were cut out by hand. The pearls are by Recollections. The papers are by Recollections- pink, olive, blue, Georgia Pacific- white, cloud paper- from Walmart.. The card is 4 1/4" x 4 1/4". 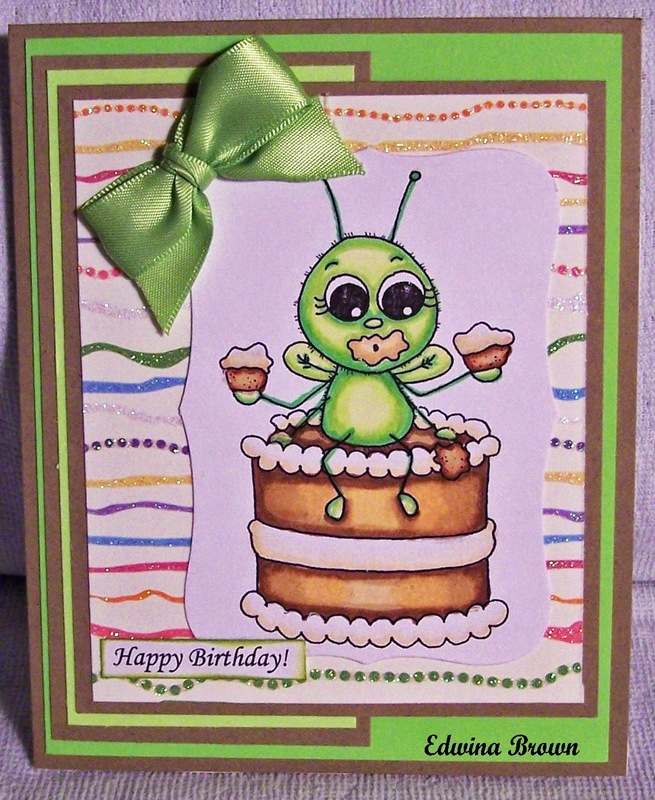 Hello, Today I am using "Cutie Bug Cake" by Fresh Brewed Designs. You can find the store here http://freshbreweddesigns.com/. Copics used are YG00, YG01, YG03, YG05, YG07- bug, E31, E33, E37- cake, E50, E51, blender- frosting. 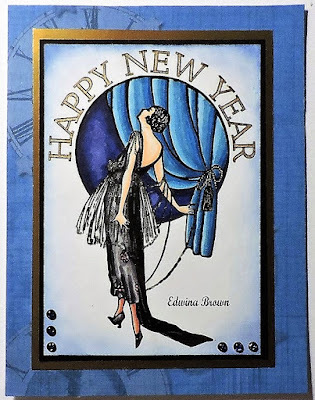 The die cut was made using a die by Spellbinders called Labels Eight. The papers are by Recollections- green, kraft paper, DCWV- glitter print, Georgia Pacific- white. The card is 4 5/8" x 5 3/4." 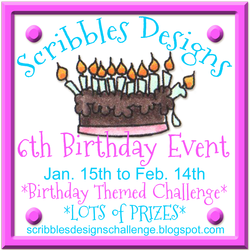 Hello, I am using a digi called "Mollie" by Julia Spiri Digital Stamps and Scrapbooking. 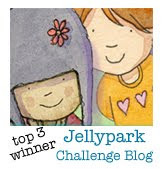 You can find the store here http://www.etsy.com/uk/shop/JuliaSpiri. Copics used are E000, E00, E01, R20, R30- skin, RV10, RV13, RV17- lips, E31, E33, E37- eyes, E21, E23, E25, E27, E29- hair, RV10, RV21, RV23, RV25, YG00, YG03, YG07, G43- outfit, RV10, RV21, RV25- heart, Y21, YR21, E97, E99, R20, R30- kitty, R32, R35, C00, C1, C3, C5, B91, B95, B97- wagon. Lime Stardust Gelly Roll pen was used on the dots on the ribbon. The flowers with sequins and peal centers are from a wedding dress I sent to me by Daisy Young. The card is 5" x 6 1/2". Hello, Today at Robyn's Fetish our challenge is to use Pastel Colors. I am using "Dancing Daphne" by Sherri Baldy Designs. Sherri Baldy Designs is our sponsor this week. 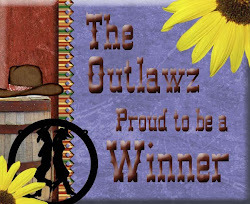 The winner gets the 3 digital images used by the Design Team from the Sherri Baldy store. 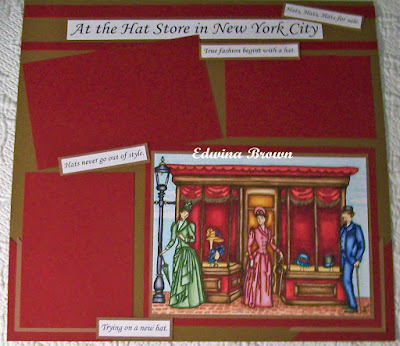 You can find the store here http://www.etsy.com/shop/SherriBaldy and http://scrapbookstampsociety.com/. Copics used are E000, E00, E01, E02, R20, R30- skin, E37, E95, E97, E99- hair, RV10, RV13, RV17- lips, BG000, BG01, BG05, BG09- eyes, ( RV000, RV00, RV02, RV04- pinks, V20, V22, V25, V28- purples, G0000, G000, G00, G02- mint green, YR0000, YR000, YR00, YR01, YR02- oranges)- outfit, W00, W1, W3, W5- shoes, E11- bandaid. 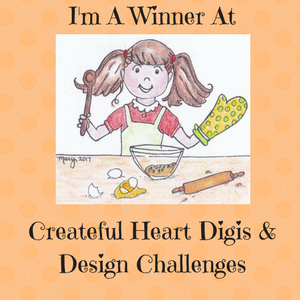 The embossing was done using Darice embossing folders Dots Background, Chevron Background, and A2-Quatrefoil. 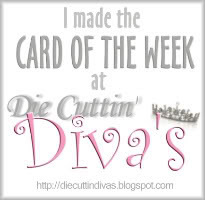 The die cut was made using a Spellbinders die called Labels Twenty. The flowers are by Prima- large flower and the resin flowers were given to me by a friend. The leaves were punched out using an EK Success oak leaf punch. I inked the edges with a Studio g light olive ink pad. 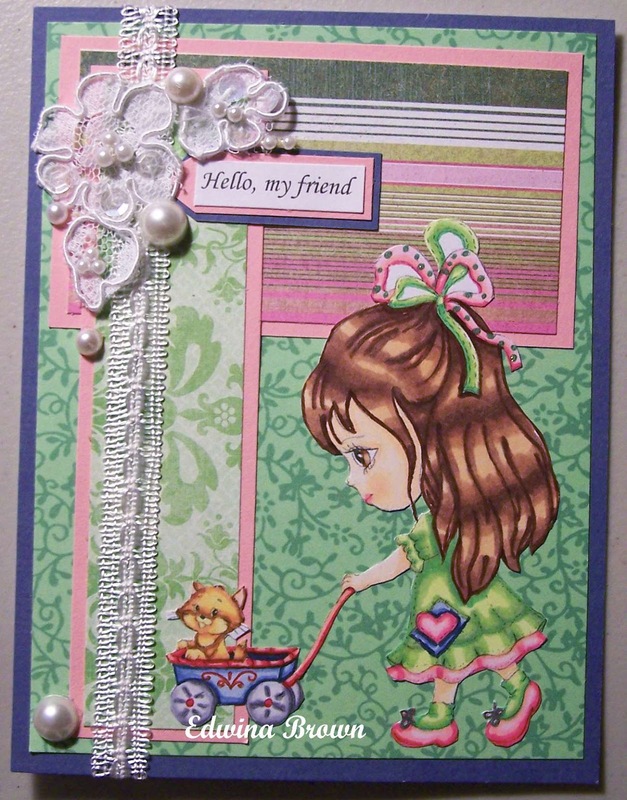 The card stocks are by Recollections- light green, light pink, pale peach, lavender, Georgia Pacific- white. Hello, Today I am using a drawing by Jean Elford a friend in England. She mailed it to me about 9 months ago. I am finally finishing it. Thank you Jean. 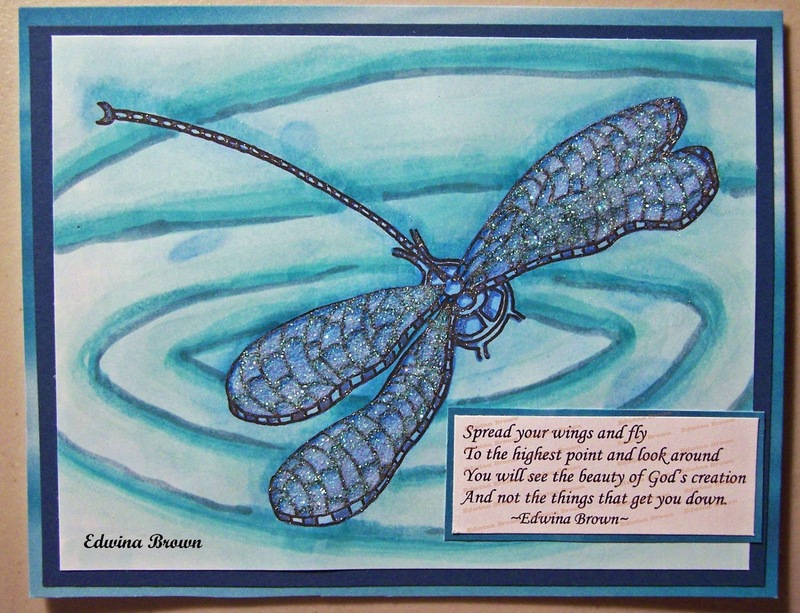 I used a wash of 99% water and 1% ink to add color as a wash with a paint brush on the dragonfly. I did not worry about going out of the lines. Some actually dripped on the paper. I did this 2 times to get a good coat of color. Once completely dry. I then went over the outlines with a clear Stardust Gelly Roll Pen. I let this dry overnight as I did not want it to smear when I used my copics or added glitter to it. I then colored the water with copics BG000, BG01, BG02, BG05, BG10, BG11, BG13, BG15, BG18. 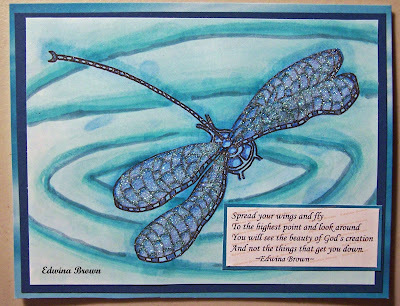 I added a little color to the body of the dragonfly with Copics BG01, BG05. I also added some to the larger spots on the wings making sure I leave the wash as my lightest color.. I then added Iridescent Glitter by Recollections to the wings. The verse is my own. Please do not copy it without my permission. Thank you. The papers used are by Recollections- teal, dark teal, Georgia Pacific- white. 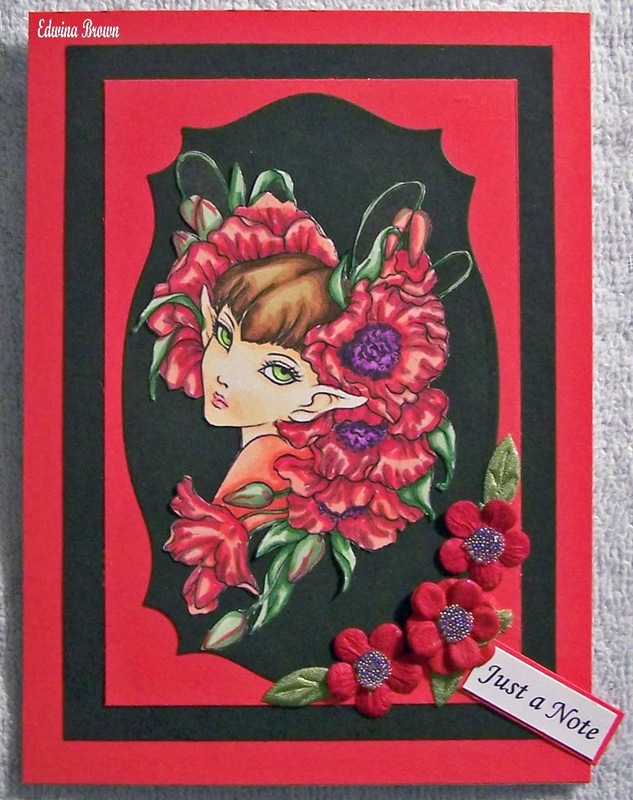 Hello, Today I am using a digi called "Big Eyed Poppy" by Aurora Wings. 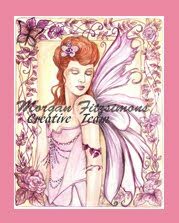 You can find it here http://www.etsy.com/shop/AuroraWings. Copics used are E000, E00, E01, R20- skin, E31, E33, E57, E59- hair, RV10, RV13- lips, YG01, YG03, YG93- eyes, YG61, YG63, YG67- leaves and stems, V04, V06, V09- center of flowers, R32, R35, R37, R56- flower petals, R20, R22, R24- clothing. The die cut is a Spellbinders die called Labels Twenty Five. The flowers are paper flowers by Recollections. The centers are Recollections clear micro-beads glued on a purple circle from a hole punch. The papers are by Recollections- black, red, Georgia Pacific- white. The card is 4 1/4" x 5 1/2". 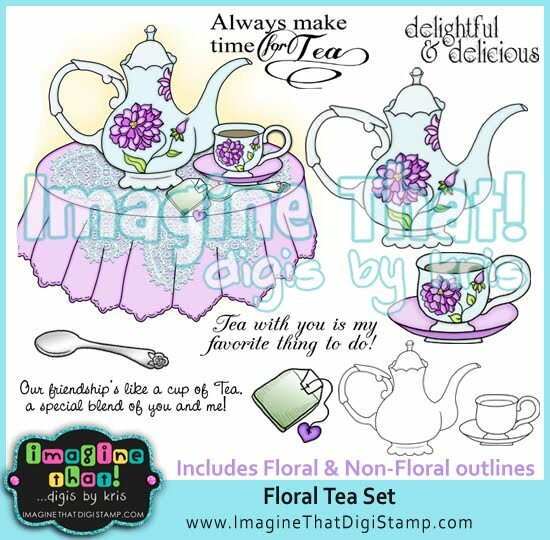 Hello, Today I am using a digi by Delicious Doodles called "Floral Watering Can." 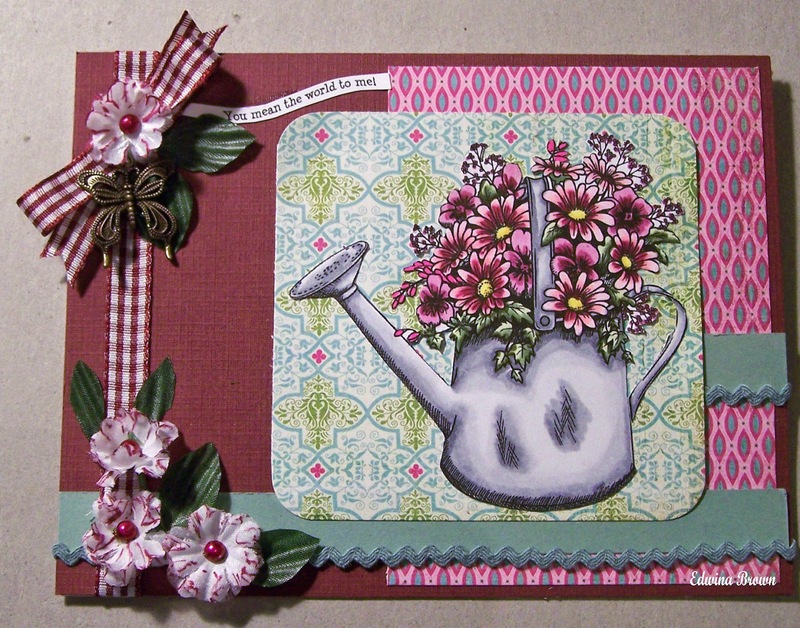 You can find it here http://deliciousdoodles.blogspot.com/2011/05/floral-watering-can.html. copics used are C00, C1, C3, C5, C7- watering can, G40, G43, G46- leaves, RV10, RV21, RV63, RV66, RV69, Y06, Y13, Y15- flowers. 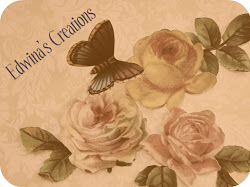 The butterfly charm is by Miriam's Crafting Supplies. The pearls are peal color and I colored them with Copics RV66, and RV69. 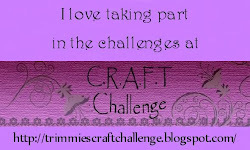 You can find them here http://miriamscraftingblog.com/supplies.html. The ribbon and rick rack are by Really Reasonable Ribbon. 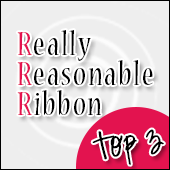 You can find it here http://www.reasonableribbon.com/. the sentiment is by Imagine That! Digis by Kris from the "Curvy Sentiments" digi set. 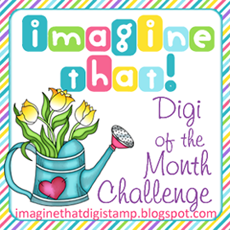 You can find it here http://www.imaginethatdigistamp.com/index.html. The flowers were solid white. I got them at the Dollar Tree. I used Copics RV69 on them just lightly brushing the flower to give accents to the petals. The papers are by Bazzill- burgundy, green, Basic Grey- prints, Georgia Pacific- white. 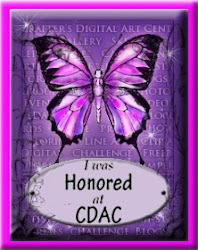 Hello, Today I am using a digial image by Shirley Major. Copics used are E000, E00, E01, R20- skin, E21, E23, E25, E27, E29- hair, BG0000, BG000, BG01, BG02, BG05- clothing, R000, R01, R20, R22, R24, YR21, YR24, Y11, Y21- mushroom, BG00- wings. Gelly Roll Pens used are Green Metallic, Lime Stardust- stem and leaves, Pink Metallic, Pink Stardust, Green Stardust, Purple Metallic, Purple Stardust, Red Metallic, Red Stardust, Blue Stardust- flower, Green Stardust, Sky Stardust- wings. 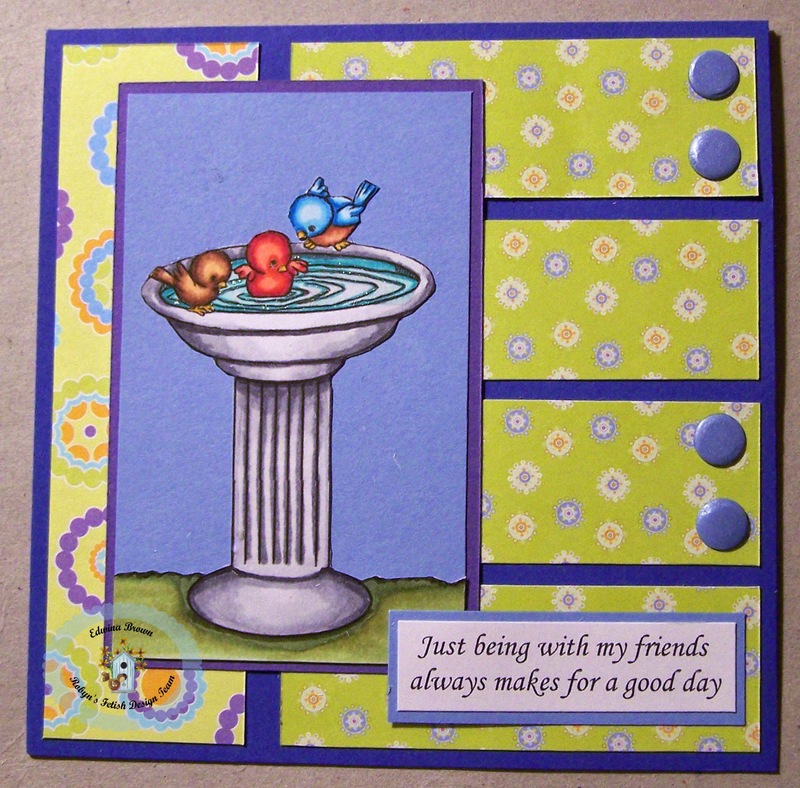 The gem flourishes were all one design I cut apart to place on my card. It is by Want @ Scrap. The blue gems are by Studio g.
The blue ribbon is by Really Reasonable Ribbon. 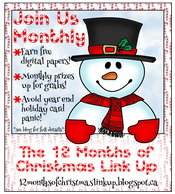 The multi color ribbon was white seam binding ribbon I inked with a yellow marker and a red and blue ink pad. The papers are by Recollections- blue, Georgia Pacific- white, Create With TLC- digital prints- http://www.artfire.com/ext/shop/home/CreateWithTLC. 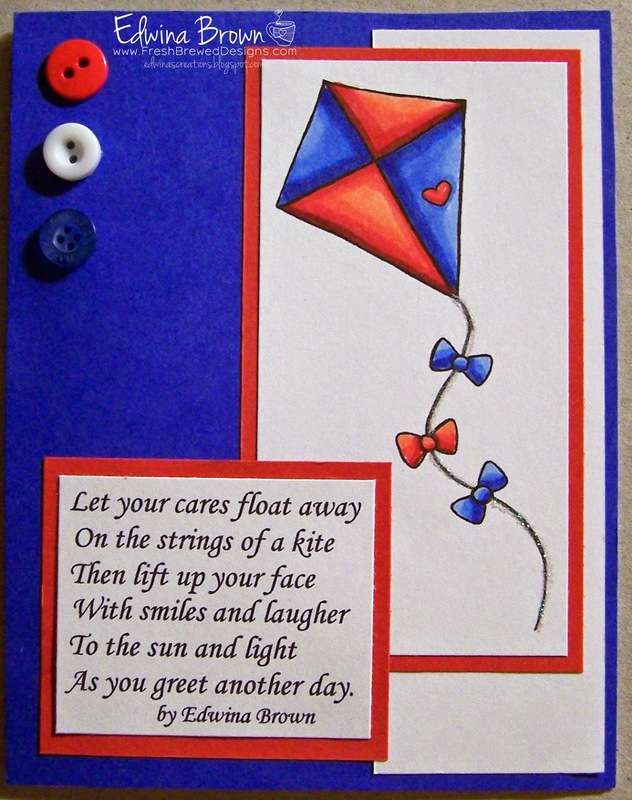 Hello, Today I am using a digi called "Kite" by Fresh Brewed Designs. You can find it here http://www.freshbreweddesigns.com/item_731/Kite.htm. Copics used are B21, B24, B26, B28- blues, R22, R29, R35, R59- reds. I used Recollections iridescent glitter on the kite string. The buttons are by Favorite Findings- red and white. The blue one is a vintage button. The poem is my own. The papers are by Recollections- red, blue, Georgia Pacific- white. 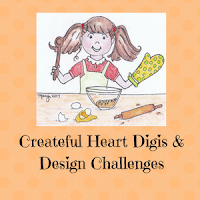 Be sure to stop by the Fresh Brewed Designs challenge blog. 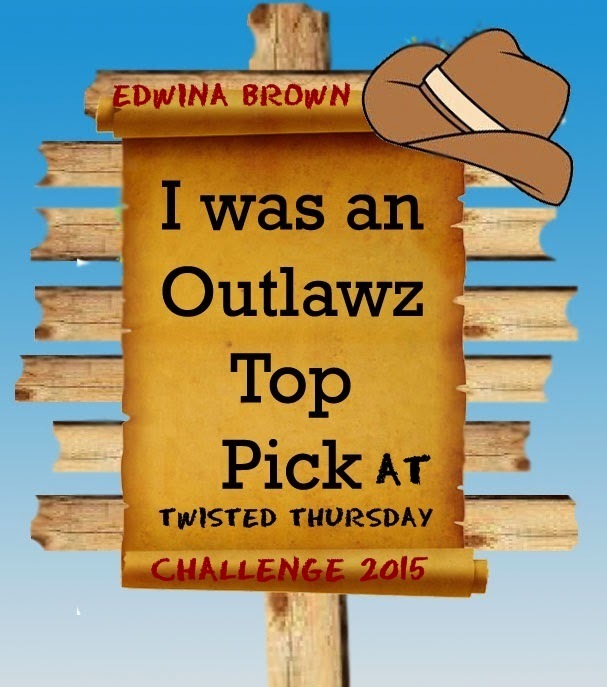 You can find it here http://freshbreweddesigns.blogspot.com/. 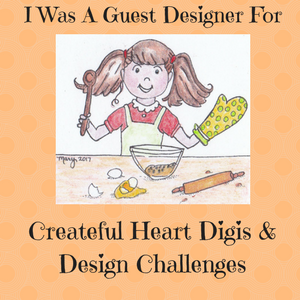 Hello, Today I am using a digi by Create with TLC. You can find it here https://www.etsy.com/shop/TlcCreatesVintage. Copics used are E000, E00, E01, E02, R20, R30- skin, C1, C3, C5, C7, RV25- dress, C3, C5, C7- shoes, Y23, Y26- tie back, B12, B14, B16, B18- curtains, B63, B66, B69, BV08- window. Gold Metallic Gelly Roll pen was used for the words. Silver Stardust Gelly Roll Pen was used on the dress. 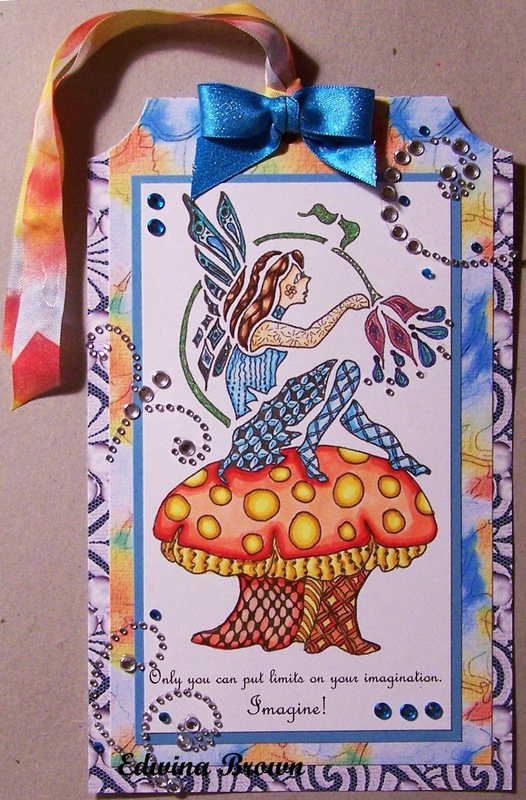 I inked the edges of the image with blue chalk ink by Studio g.
The glitter gems are by Gina Marie. The papers are by Recollections- black, DCWV- gold, Georgia Pacific- white, Create with TLC- clock paper- https://www.etsy.com/shop/TlcCreatesVintage. I am the only sister of 4 children. I am the oldest. I had to learn to tease and take being teased out of self defense. I was a very seriuos child. I was born in KY. Ilived in GA 23 years. I have a cat named Mittens.